Heat 12-inch skillet over medium heat. Spread one side of each bread slice with gourmet mayonnaise and other side with butter. Place 2 bread slices, butter side down, in skillet. 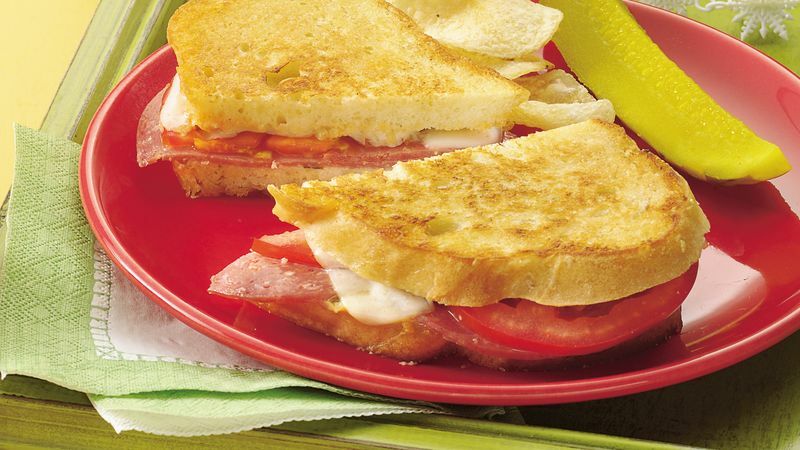 Top each with 2 salami slices, 2 tomato slices, 1 cheese slice and 1 bread slice, butter side up. Cook 2 to 3 minutes or until bottoms of sandwiches are golden brown. Turn sandwiches; cook 1 to 2 minutes or until bottoms are golden brown and cheese is melted. Repeat with remaining 2 sandwiches. If you don't have flavored mayonnaise, stir together equal parts mayonnaise and ranch dressing or Dijon mustard.